A hydraulic ironworker can be used for punching, shearing, notching, bending and other metal fabricating functions. 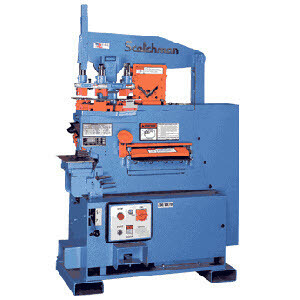 Scotchman’s special tooling department can design any special tool you need for your metal fabricating needs. Rectangular Notcher, 2-1/2" x 3" x 5/16" , 2-1/2" x 2-3/4" x 3/8"